BHR Sports Report............ The Arizona Cardinals have hired Jen Welter to coach inside linebackers through their upcoming training camp and preseason. The Cardinals say Welter is believed to be the first woman to hold a coaching position of any kind in the NFL. Welter played running back and special teams in 2014 for the Texas Revolution of the Indoor Football League, becoming the first woman to hold a non-kicking position for a men's professional sports league. Welter is herself a former pro player, who spent 14 pro seasons with the Dallas Diamonds, part of the Women’s Football Alliance (a full-contact Women's American football league that began in 2009), helping them to win four titles. 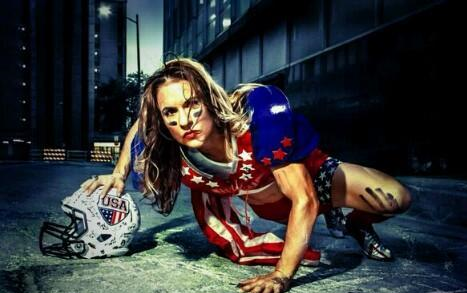 She also has a master’s degree in sports psychology and a PhD in psychology, meaning she's actually Dr Jen Welter. Welter’s year has been full of firsts. 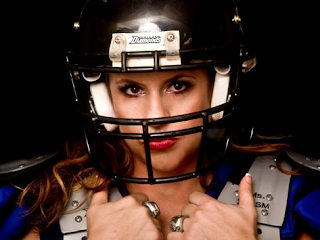 Last season, she became the first woman to coach in a men’s professional league, when she was hired by Texas Revolution, part of the Indoor Football League. In February this year she was also the first woman to play in a non-kicking position in a men’s professional league, for Revolution. A news conference was scheduled fortoday to introduce Welter and Levon Kirkland, a former Pro Bowl linebacker who is the inaugural participant in the Bill Bidwill Coaching Fellowship established to give recently retired NFL players a chance to coach in the league. He will work with outside linebackers for the next two seasons. Four months ago at the NFL meetings, Arizona coach Bruce Arians was asked about the possibility of a woman coaching in the NFL. 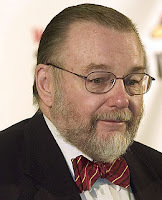 “The minute they can prove they can make a player better, they’ll be hired,” Arians said. 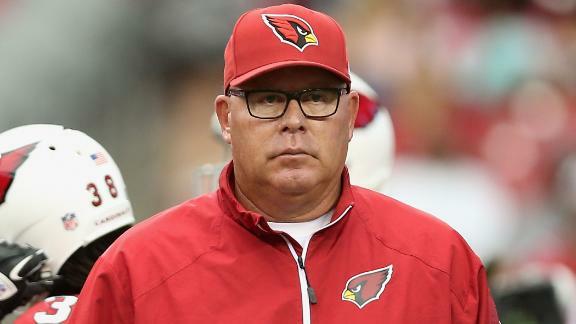 Speaking to azcardinals.com on Monday, Arians said: “Coaching is nothing more than teaching. One thing I have learned from players is ‘How are you going to make me better? listen.“’ “I really believe she’ll have a great opportunity with this internship through training camp to open some doors for her,” Arians said. In the NBA, Becky Hammon is an assistant coach with San Antonio and served as the head coach for the Spurs’ team that won the Las Vegas Summer League championship.